Red katan silk shalwar fully elastic. 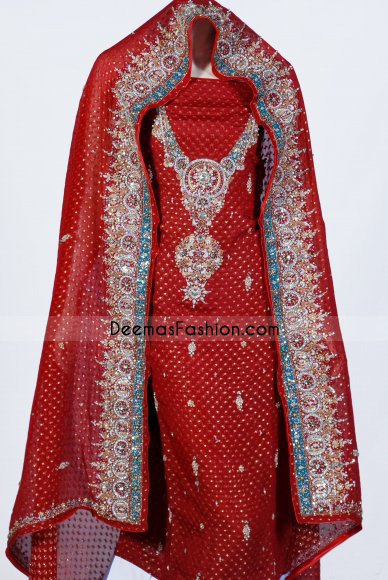 Red pure crinkle jamawar dupatta finished with embroidered borders on edges. Small motifs scattered all over. Red pure crinkle jamawar shirt featured appealing embellishment on neckline. Circular ornamental panels used in embroidery. Beautiful circular motifs implemented under embroidered V neckline.